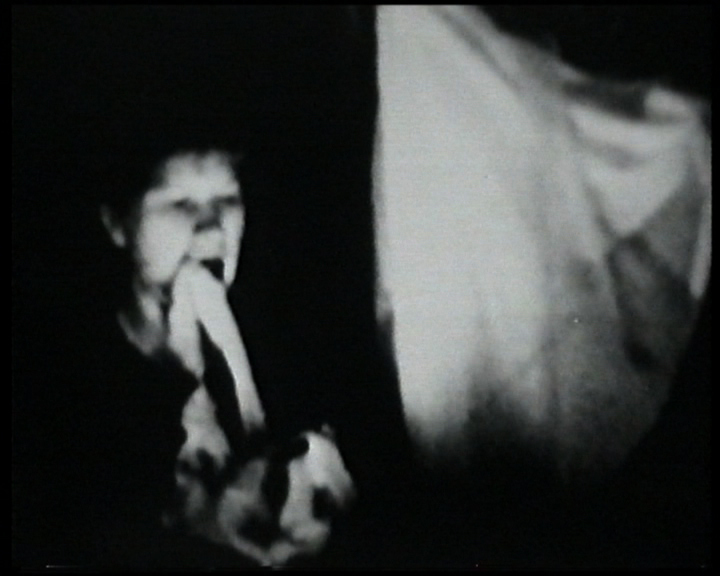 A strange substance; ‘ectoplasm’, emerges from the medium’s mouth, hands appear and spirits are conjured up. 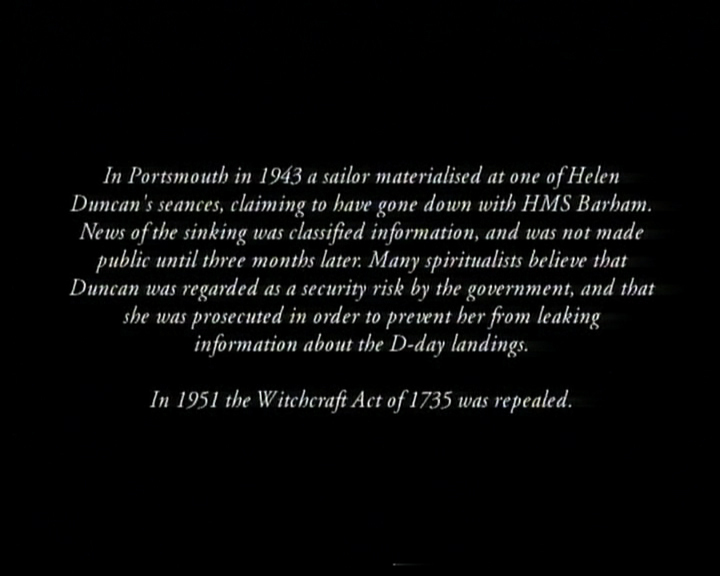 Reflecting on the case of Helen Duncan (1898-1956), a medium from Portsmouth who in 1944 was the last person to be tried and prosecuted under the British Witchcraft Act of 1735. 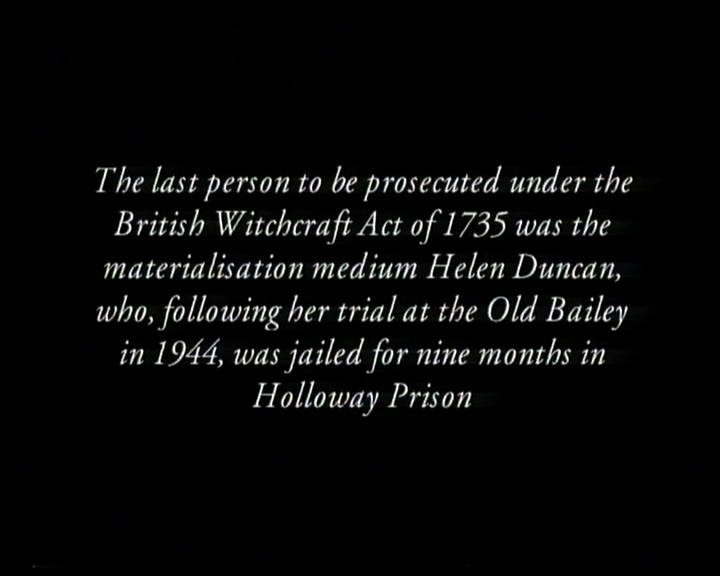 In 1944 medium Helen Duncan was tried and prosecuted at the Old Bailey, London under the 1735 British Witchcraft Act. She was imprisoned for nine months at Holloway Prison, London. It is believed by many that she was prosecuted by the Government in order to 'silence' her. 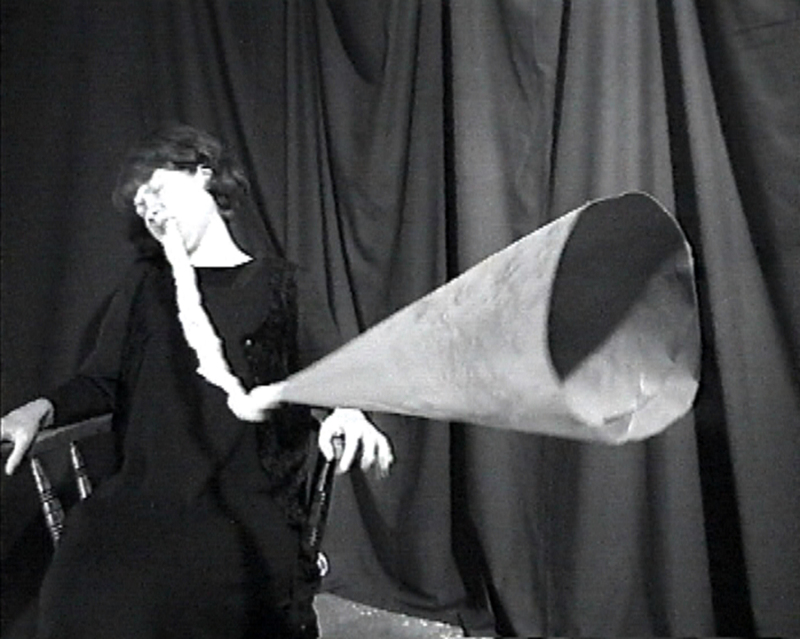 A strange substance, 'ectoplasm’, emerges from the medium’s mouth, hands appear and spirits are conjured up. The Last Person is based on the trial of Helen Duncan (1898-1956), a medium from Portsmouth who in 1944 was the last person to be tried and imprisoned under the British Witchcraft Act of 1735. 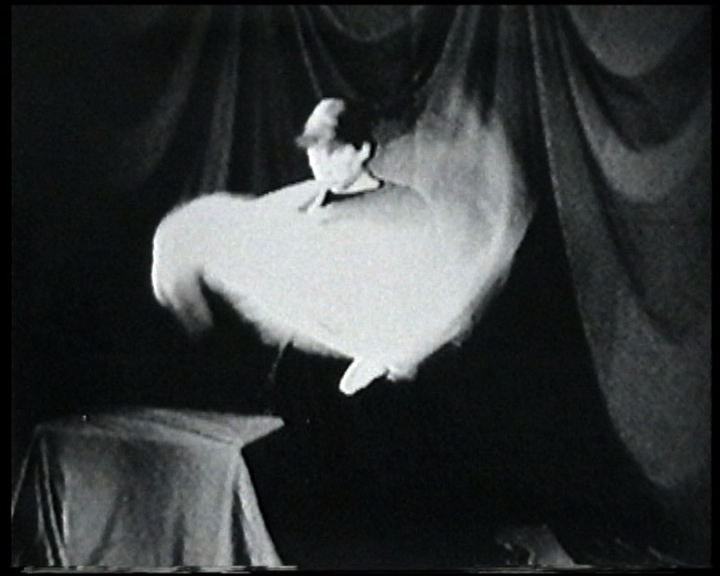 Posing as medium, the artist recreates the séance room phenomena as reported in the court reports published in The Times, London, that followed Duncan's 1944 trial. It is believed by many that the Government conducted this trial in order to silence Duncan, who had previously revealed information at a séance that was a War Office secret. Presenting an image of the seductive and macabre The Last Person is recorded in black and white using a Hi8 video camera. 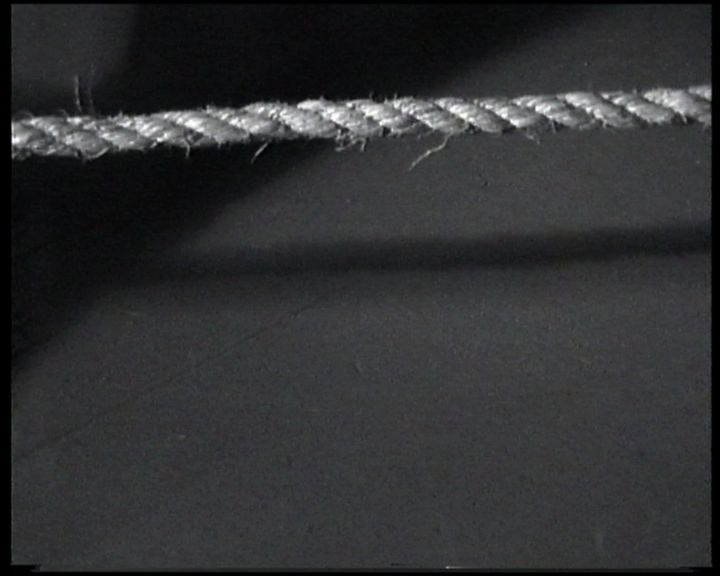 The Last Person is introduced and concluded by on-screen text (see video stills below). The Last Person was short listed for the 1999 Glen Dimplex Arts Awards, Irish Museum of Modern Art, Dublin. Spiritualism is driven by the idea that spirits maintain contact with the living by paranormal means through mediums. 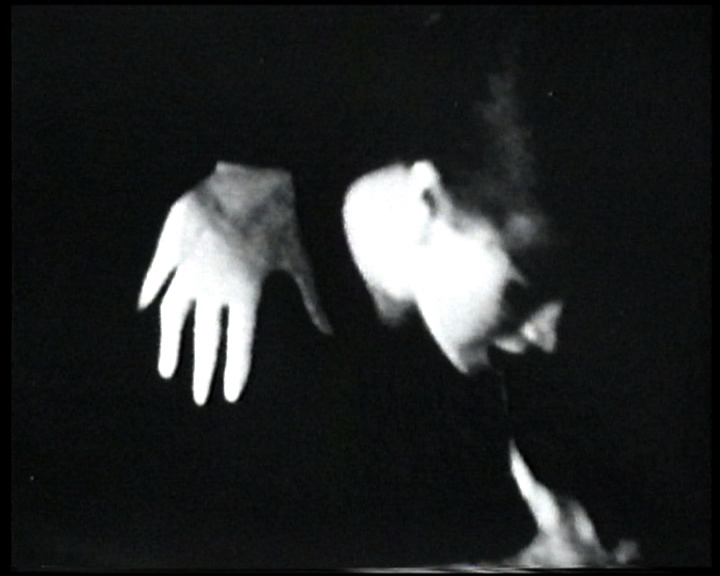 While working on this piece during a residency at the Tyrone Guthrie Centre, Co. Monaghan the artist met actress Agnes Bernell, who was able to relate her own personal experience of encountering ectoplasm at séances in Wales during the 1950s.